Madrid is the capital of Spain and is situated right in the heart of the country. This makes Madrid a perfect location for anyone who wants to travel. If you can bear to leave Madrid, you will find that there are direct flights from here to pretty much every major city in Europe. Since there’s a lot of competition from different airlines, flight prices are usually very cost-effective. There is also a good train system in place, which allows you to travel efficiently and quickly, both throughout Spain and internationally to other European centres. This means that Madrid is a great base. The Spanish have a strong sense of cultural identity. Whether you consider music, dance or the visual arts, you will find that Madrid is the vibrant centre of Spain’s cultural life. There is plenty going on here, whether you want to take part or simply observe and immerse yourself in the ambience. Madrid is home to Spain’s national dance companies, her orchestras, and, of course, the city’s many museums. Madrid has something to cater for all tastes, from the contemporary to the classical. Although it is busy, it also has plenty of green spaces, with its historic parks and lush gardens providing plenty of space for relaxation and contemplation in the heart of the city. If your experience of city life in other cities, is one of a frenetic but monotonous existence, then you are in for a big surprise. Madrid is full of vibrancy and colour, its warm, sunny climate reflecting the welcoming, fun-loving nature of its people. Madrid is a place where the pursuit of happiness is taken very seriously indeed. People here love to enjoy life and to take their time about things, savouring a slower pace of life, where the day continues well into the night. Of course, this means that there is plenty of time for fun and enjoyment. Check out the many fiestas and celebrations which are held here throughout the year. Madrid is probably Spain’s most international city. It welcomes students from across Europe, as well as being the country’s business and political capital. People come here from all over the world to live and work, so the locals are used to welcoming new friends, and will make you feel right at home. 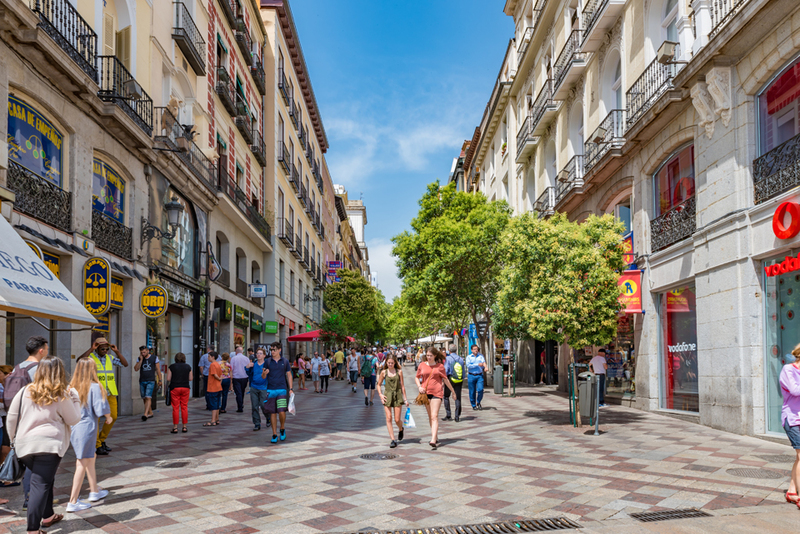 Madrid isn’t like other big cities, it is made up of lots of smaller, tight-knit communities or neighbourhoods. Choose your neighbourhood or ‘barrio’ carefully and you’ll fit right in. You will soon find that local shopkeepers stop for a chat and learn your name and that you get to know your neighbours.